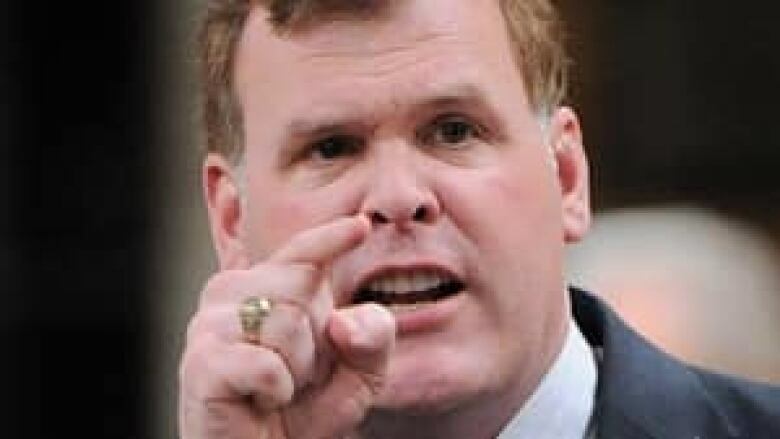 Foreign Affairs Minister John Baird appeared to confirm in question period what the rumour mill suspected: the Harper government shut down the NRTEE environmental advisory group because it didn't like the advice it was getting on climate change. The federal government has confirmed what the rumour mill suspected: it shut down an arm's length, independent advisory group because it didn't like the advice it was getting on addressing climate change. Funding for the National Round Table on the Environment and the Economy (NRTEE) was cut in the last budget, giving the group just one year to live. Since 1988, it has been producing research on how business and government policies can work together for sustainable development — including the idea of introducing carbon taxes. Environment Minister Peter Kent had initially said the reason for the closure was because such research can now be easily accessed through the Internet, and through universities and other think tanks. But Foreign Affairs Minister John Baird said Monday the shuttering of the round table had more to do with the content of the research itself. "Why should taxpayers have to pay for more than 10 reports promoting a carbon tax, something that the people of Canada have repeatedly rejected? That is a message the Liberal Party just will not accept," Baird said in response to a question by Liberal Leader Bob Rae during question period. "It should agree with Canadians. It should agree with the government. No discussion of a carbon tax that would kill and hurt Canadian families." Rae said it's clear the government is trying to silence voices it doesn't agree with. "It may not fit in with the government's agenda but that's exactly the point. That's why we have something called a democracy. You want to have independent voices," Rae told reporters outside the Commons. "We need to hear from these groups in order to have intelligent policy happen." The Conservatives have been criticized for pulling funding from a number of other organizations over the years for ideological or policy reasons, including arm's length group Rights and Democracy, international aid group Kairos, and for research and advocacy work funded by the women's program at Status of Women Canada. More recently, the government has attacked "radical" environmental groups that it accuses of being funded by foreign interests. In the budget, it introduced more scrutiny for charitable organizations in order to try and rout out any inappropriate political activity. When asked later about his remarks, Baird seemed to backtrack. "Listen, the roundtable was created 25 years ago and there was no — well, there was not very many substantial numbers of environmental research organizations in Canada or frankly the West and (now) there's a huge number of them, so it's just not required," Baird told reporters. "But the thing the national round table will be remembered for certainly over the last five or 10 years is its ongoing push for a carbon tax..."
The round table's board is dominated by Conservative nominees, and is led by David McLaughlin, a former chief of staff to Finance Minister Jim Flaherty. Last year, the advisory body showed in painstaking detail how it would be possible to impose a carbon tax, meet emissions targets, but also not be too far out of step with American policy at the same time. McLaughlin has publicly disagreed with the argument that there are other sources of similar research the government can access. "This is new and original information that we're putting out," he said in a recent interview with The Canadian Press. "Maybe the government in some cases" produces some of the analysis that the round table is working on. "But that work isn't always public," McLaughlin added.